NAMM 2013 is now in the history books, with throngs of show-goers and hoards of manufacturers finally recovering from jet-lag and hangovers, following the music industry's premiere annual trade show event in Southern California. It was standing room only in the MOTU booth throughout the show, with special guests and artist appearances over four days, along with a sneak preview of a major MOTU software upgrade. Read on to learn more, watch live booth demos, and see one-on-one interviews with MOTU artists at the show. MOTU gave four presentations covering a wide range of cutting-edge products and professional audio workflows. Guest artists included Jordan Rudess, Keyboardist for Dream Theater, and Dave Wood, top LA session guitarist. Also presenting were MOTU's own "Magic Dave" Roberts and James Sizemore, a film composer who collaborated with Howard Shore on the film score for the blockbuster Peter Jackson film, The Hobbit. 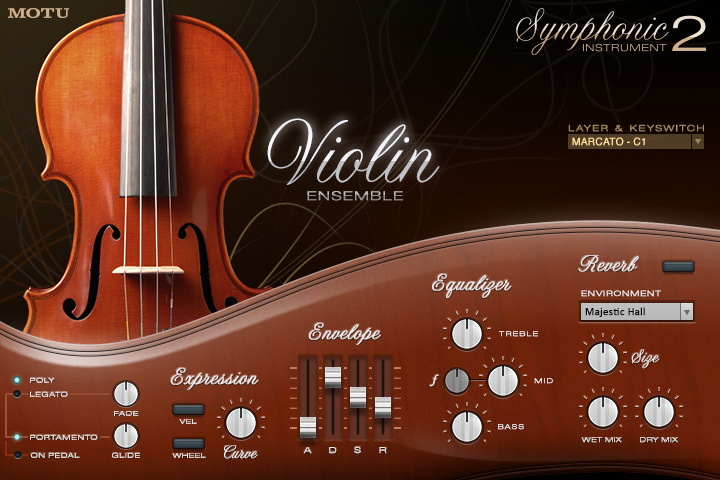 Making its world debut, Symphonic Instrument 2 was unveiled on the MOTU booth main stage on Day 1 of the show. On hand to show it off were product specialist Matt Vanacoro and Special Guest Artist Jordan Rudess, the amazing keyboard player for the seminal prog-rock band Dream Theater. Matt and Jordan also demonstrated MachFive 3 and the growing 3rd-party support for the MachFive 3 platform. Watch the video to see it all in action. James Sizemore thrilled MOTU booth audiences with his detailed breakdown of the workflow he developed with film composer Howard Shore in writing the film score for The Hobbit. We'll have a full interview later, but James vividly conveyed how they relied on Digital Performer to handle constantly changing cues and impossible deadlines during film production. In his demo, James played the score during the climactic battle scene at the end of the movie between the warg army, lead by their goblin king, and the hapless band of dwarves, led by Gandalf the Gray. First, we heard his score mockup, programmed entirely with virtual synths sequenced in DP, and then the final resulting film cue recorded at Abbey Road Studios in London. Keep an eye out for the full story here soon. 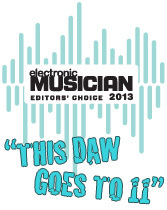 Guest artist Dave Wood demonstrated Digital Performer's award-winning guitar effects plug-ins. Dave played a wide variety of classic, authentic guitar tones while ripping through familiar guitar riffs. Watch the video to see and hear for yourself how good DP's guitar tones can sound, and how to build your own tone channels. Magic Dave Roberts showed cutting edge features and plug-ins in DP8, including DP's highly customizable user interface, DP's new effects browser, the new Precision Delay and Spatial Maximizer plug-ins, and a special segment on how DP is used on mega tours like Mötley Crüe. Watch the video to see Dave's demo in full. Many touring acts use MOTU hardware and software for live playback. For NAMM 2013, MOTU showed off a system that is put together by PlaybackControl, in partnership with legendary road technician Viggy Vignola. Viggy has worked with artists as diverse as Whitney Houston, Chicago and Korn. Viggy's "day job" is running the playback rig for the Mötley Crüe band. Viggy was kind enough to lend the actual Mötley Crüe playback rig to demonstrate at the MOTU booth. 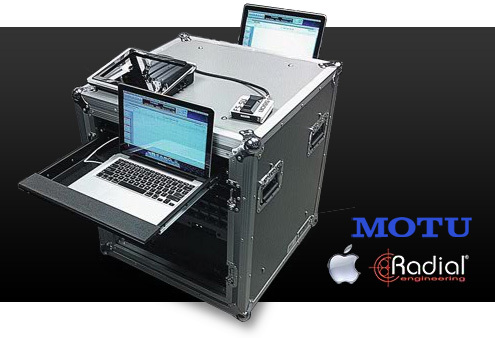 The "Viggy rig" is a road case with two laptop computers running DP8, four MOTU 828mk3 Hybrid interfaces, and a Radial Technologies SW8 switcher. Viggy also provided the actual Mötley Crüe show file for Digital Performer. For the Mötley Crüe show, DP is playing back click tracks and slate tracks to the band monitors, additional percussion and sound effects to front of house, and time code, which is used to control video, lights, mechanized staging, and pyro. In the on-stage demo, MOTU played back the show file while synchronized to a video clip of the band playing live. NAMM audiences heard just the playback tracks, and then the full mix. The video highlighted the synchronized lighting and pyro displays on stage. This portion of the NAMM demo showcased how Digital Performer is unmatched in features and reliability for use in the most demanding live concert conditions. Thanks to PlaybackControl and Mötley Crüe. Many thanks to Viggy Vignola! 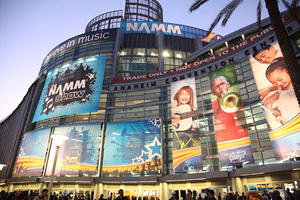 Many recording artists, producers, engineers, composers, MDs, DJs and other talent visited the MOTU booth during NAMM. We were able to catch up with some of them, to share their news — and thoughts about the MOTU gear — with you. Watch this space for interviews coming soon, or you can also catch them on MOTU's youtube channel.